Upgrading security systems to meet both current and future needs is no small feat. So when a Texas-based surveillance system integrator began work with a large national nonprofit foundation on its 20,000 square foot park-like property, existing infrastructure and future system deployment were primary considerations. With the objective to update the nonprofit’s Virtual Management Software (VMS) while leveraging existing analog and IP cameras, the system integrator needed a cost-effective solution to meet their current needs with the ability to scale for rapid growth. 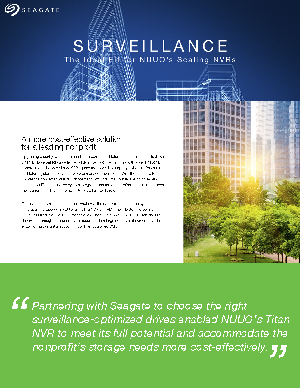 Download this case study to learn more about how the system integrator engaged with NUUO, a leading NVR and VMS manufacturer known for seamless integration of 3rd party cameras to build a customized system that would suit the nonprofit’s needs.